Gold futures edged higher in Asian hours on Thursday, as market players turned back into safe havens in reaction to increasing geopolitical tension in the Korean peninsula. US military has sent warships and a submarine to the Korean peninsula in recent days, as well as a THAAD missile defence system, which intercepts and destroys short and medium-range ballistic missiles. The deployment of such equipment was not well-received by local citizens. 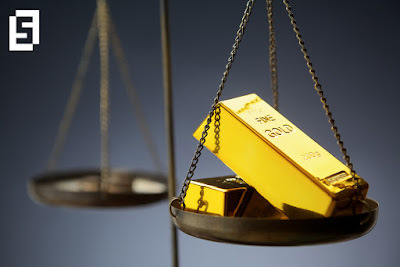 On the Comex division of the New York Mercantile Exchange, gold for June delivery was up by 0.30 percent to trade at $1268.00 a troy ounce as of 06:15 GMT. Overnight, the yellow metal settled slightly lower on Wednesday as investors digested new details on the long-awaited Trump tax reform from Treasury Secretary Steven Mnuchin. According to Mnuchin, the government is intending to cut corporate tax from 35 percent to 15 percent and apply a one-time tax for companies willing to relocate back to the United States. Upbeat remarks promoted a stronger greenback and weighed on the dollar-denominated gold, as it became more expensive for investors holding foreign currencies. The precious metal has been facing strong pressure since centrist Emmanuel Macron won the first round of the French presidential elections last weekend. He and his far-right opponent Marine Le Pen will now face on May 7 for a decisive vote. Oil benchmarks moved to the downside in Asian hours on Thursday despite official data showed a reduction on crude stockpiles last week. US West Texas Intermediate oil futures traded at $49.38 a barrel on the New York Mercantile Exchange, down 0.48 percent from its prior close. The international Brent crude oil futures dropped 0.35 percent to trade at $51.64 a barrel as of 06:40 GMT. The US Energy Information Administration said crude inventories notched down by 3.6 million barrels in the week ended April 21, against expectations for a 1.7 million barrels drawdown. According to the latest report, refinery crude increased by 347,000 barrels, while gasoline stockpiles added 3.4 million barrels, although analysts had predicted a one million/b drop. Data wasn’t aligned with the previous report from the American Petroleum Institute, which showed a crude build of nearly 900,000 barrels and a 4.4 million-barrel jump in gasoline. Players pointed out that whether the US reserves are moving up or down, the global market continues to be oversupplied, which increases concerns over the effectiveness of OPEC-led output reductions and its possible extension. The oil cartel will gather on May 25 to define the future of that deal. While Saudi Arabia and Kuwait have already expressed its pro-deal approach, other nations do not seem so convinced.